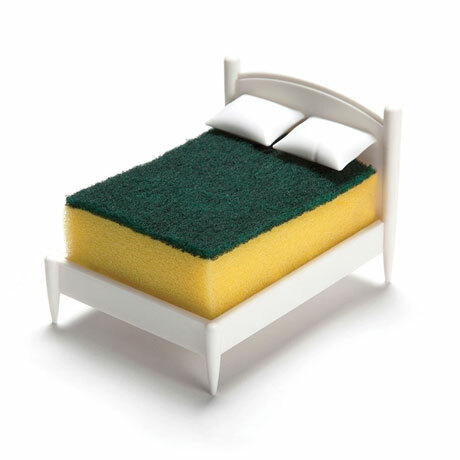 Once your dishes are clean and bright, tuck your scrubber sponge in bed and say "Good night, sleep tight!" 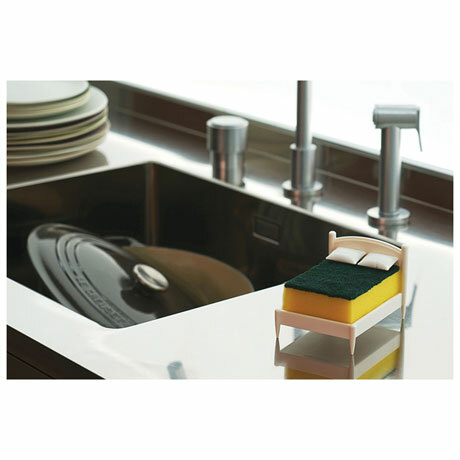 Little plastic bed with two white "pillows" gives your hard-working kitchen sponge a place to rest up and dry, so it's ready when you need it again. 4 1/2" long, 3 1/4" wide, 3" high. Scrubber sponge included.